A group of 23 co-workers in Long Island claimed the largest jackpot in New York Lottery history — one totaling $437 million! 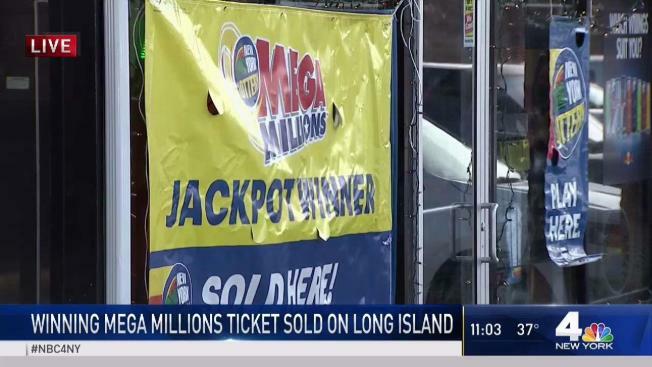 The group claimed the prize Tuesday for the Jan. 1 Mega Millions drawing through the New Life 2019, LLC, opting to take the cash value of the annuitized prize, a single lump sum payment totaling $262,213,914, according to the New York Lottery. The group will receive a net check of $176,155,308 after required state and federal withholding. Representatives of New Life 2019, LLC said the group plays the lottery on a weekly basis with each member putting a dollar in an envelope that one member takes to purchase the group’s tickets. The winning ticket was purchased at Brookville Auto Service on Route 25A in Glen Head. The retailer will receive a $10,000 bonus from the New York Lottery for selling the jackpot winning ticket. As they started showing up for work two days after the drawing, word spread that they won the Mega Millions jackpot. The representatives of the LLC said that most of the employees will continue working because they view themselves as a family and not just co-workers. Plans among the New Life group for the winnings include new houses, college funds for their children, and travel. Before New Life 2019 LLC’s incredible $437 million win, the biggest jackpot in state history was won by retired elementary school principal Harold Diamond of Wurtsboro who was the sole winner of a $326 million Mega Millions jackpot in 2014. The winning Mega Millions numbers for the Jan. 1 drawing were 34-44-57-62-70, with Mega Ball 14.